If a person is going to become a mathematician it is important for them to be able to see examples of people like themselves who have already made that journey. All too often this type of representation is few and far between for many mathematically inclined black and brown young people. 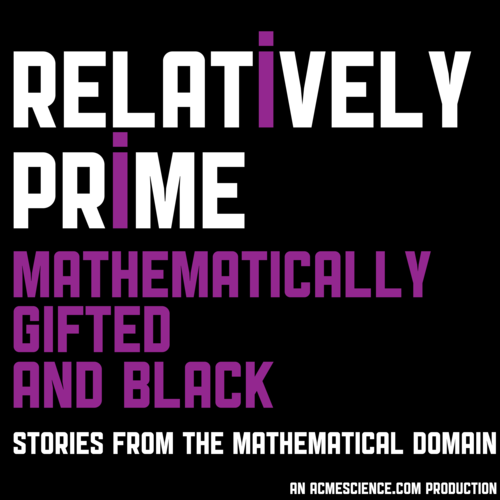 On this episode of Relative Prime Samuel Hansen is joined by the four co-creators of Mathematically Gifted & Black: Candice Price, Erica Graham, Raegan Higgins, and Shelby Wilson. Together they talk about why they wanted to tell the stories of a wide breadth of black mathematicians lives, the importance of representation, how some of the stories they are still having to tell in 2019 show how much mathematics has to grow, and potentials paths for that growth.